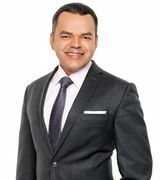 Throughout his career Fernando Menezes has excelled as a result of his talent for negotiating and passion for helping others achieve the American Dream of home ownership. A consistent award winner for his sales, Fernando is known for his ability to negotiate exceptional values for his buyers and deliver high sale prices for his sellers. With a solid business based on referrals and repeat transactions, Fernando has ranked at the top of his office for five consecutive years. He credits his success to his focus on providing his clients with prompt, information-rich communications, coupled with his affinity for helping people build wealth by investing in real estate. The results of Fernando’s service-oriented approach speak for themselves. Since his entry into real estate in São Paulo, Brazil, he has built a reputation for the determination and tenacity he applies to the goals of his clients—traits that have allowed him to earn many sales awards and pass multiple sales milestones along the way. Offering professional assistance in Portuguese, Spanish or English, and a complex understanding of marketing strategy, Fernando is a valuable and trusted advisor for his clients. Having earned San Diego Magazine’s “Five Star Real Estate Agents: Best in Client Satisfaction” award on numerous occasions, his clients recognize that his true heart and passion is focused on helping them realize their dreams. Specializing in San Diego real estate since 2006, Fernando has a comprehensive knowledge of the community’s neighborhoods, school districts, entertainment options and subdivisions. A music enthusiast, he enjoys playing guitar, reading, travelling, and being outside when he isn’t busy helping his clients.